The Sunol Regional Wilderness is best known for having been a place of residency of Native Americans, which is reflected in the bedrock mortars that can be found throughout the area. For the majority of history, the land was utilized for ranching purposes, and to this day remains and area of agriculture. While exploring the Sunol Regional Wilderness, you are likely to come into the acquaintance of cattle grazing in the fields. The Sunol REgional Wilderness offers many programs and educational opportunities for those visiting. These opportunities, which are apart of the Naturalist-led Programs, are designed to allow all who visit the area to learn more about the historical and agricultural significance of the land. More information on these programs can be found in the Old Green Barn Visitor Center of the Sunol Regional Wilderness. There are plenty of highlights to visiting the Sunol Regional Wilderness. Some of these highlights include: hiking, group camping, and family camping. There are an abundance of trails available to explore while in the area, but the most well-known trail is the self-guided Indian Joe Nature Trail. These trails can be journeyed on foot, horseback, or on bike. Located near the Calaveras Reservoir, the Sunol Regional Wilderness is open from 8 a.m. to 9 p.m., May 18th to September 8th.The hours of operation of the area vary considerably from month to month; more information pertaining to the hours of operation of this preserve can be found here. 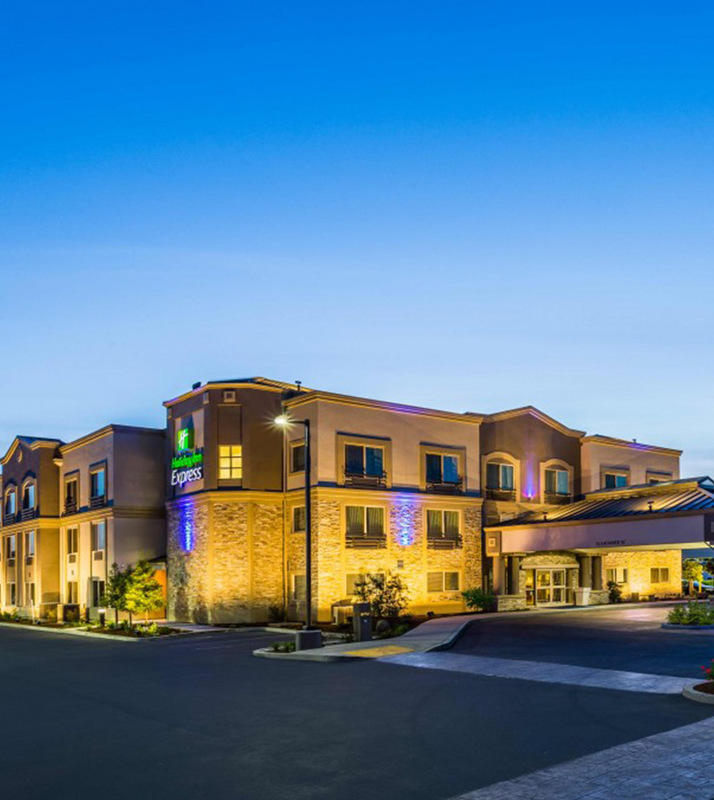 If you’re looking for a room while visiting Morgan Hill, the Holiday Inn Express Morgan Hill is the perfect hotel for you. This hotel offers guest amenities and friendly staffing, as well as the lowest rates available when you book your stay directly online. Enjoy your stay at the Holiday Inn Express Morgan Hill while visiting the Sunol Regional Wilderness. Conveniently located within the vicinity of the hotel, Holiday inn Express Morgan Hill offers the lowest rates available when you book directly at: www.hiemorganhill.com.